The Suceava County is located in the Northeast of Romania. With an area of 8553,5 square kilometres is the second biggest county of the country, after Timis County. Its borders are: North: Ukraine, Northeast: Botosani County, Sounth: Iasi, Neamt, Harghita and Mures Counties, West: Bistrita.Nasaud and Maramures Counties. The major relief units are mountain regions integrated in the Eastern Carpathian Chain (Rodna, Rarau, Giumalau), hills region which descends through the forested mountains to the Moldova, Suceava and Siret river valleys. The harmony and the beauty of the landscapes - represented by the broad variety and richness of the relief units: mountains, corridors, large passages, gentle hills, plateaux, plains, valleys, terraces and river meadows- the diversity and the uniform dispersion of the hydrography network, the soil types and the geological mosaic, the natural resources, the forest richness, flora and fauna, all these define the Suceava County as an excellent synthesis of the whole Romanian space. The forest - the green gold - spans over 50% of the county area, being the largest and the richest forestry resource among the Romanian counties (7% of the total forest covered area of Romania). The most common species are: fir-tree, spruce-tree, beech-tree. The forests host a rich fauna, Carpathian stag, brown bear, wild boar, capercaillie. The county has a great a broad hunting and fishing stock, and the best pastures of the country. Among all these resources, we should mention primarily the mineral waters well known for their healing properties. We could point the 40 carbohydrate water springs from Dorna Valley. Due to its ferrous carbohydrate mineral waters, Vatra Dornei area became a traditional health resort in the Eastern Carpathians. The hydrographical network is rich. The main rivers are: Moldova, Bistrita, Siret, Suceava. There are also small lakes, ponds and a lot of springs. The first written testimony about Suceava is dated February 11th 1388. The concentration of the human settlements from this area determined - on the political level - the establishment of feudal type states, constituted then as a real feudal state. Under the rule of Petru Musat (1375-1391), the Moldavian Feudal State gets stronger. Fortresses such as: Siret, Scheia, and the Great Fortress of Suceava have been built. In the same period, the capital town moves to Suceava, which became the political, economical and military centre of the country. 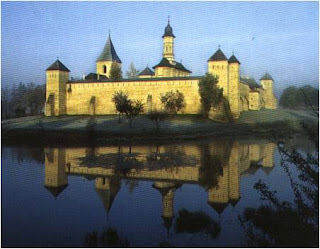 The Fortress of Suceava became the main fortified citadel of Moldavia. The rule of Alexander the Kind favoured the consolidation and the development of Moldavia. 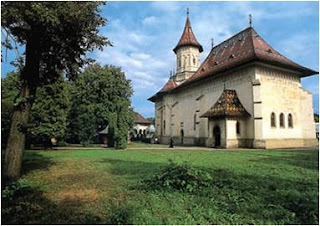 Under the Moldavian king Steven the Great (1457-1504) new establishments of great art importance and originality were built, some of them being located on the nowadays Suceava County (Baia, Voronet, Putna). In the next period, the domestic and the external policy oriented to defend the independence and sovereignty was continued in the spirit of the great king. In 1775, after the Russian-Turkish War - lost by the Ottoman Empire - Bucovina has became a part of the Austrian Empire. This situation lasted one century and a half, until 1918, when Bucovina re-gained the independence, and joined willingly the Romania. After the Ribbentrop-Molotov Pact, from 1940, the northern part of Bucovina became part of the former Soviet Union. That part is included now in Ukraine. Suceava County has important resources, such as: forests, mixed minerals, manganese minerals, sulphide minerals, barytine, mineral water springs. All these resources had a direct impact to the economic development of the area. In December 1998 there were in the county, 19.800 companies, out of which 11.350 Ltd companies, 3 state companies, 8000 familial associations, 180 co-operative type organisations and 447 branches of the companies located in other counties. The arable land spans over 42% from the county area. The main crops are: cereals, potatoes, sugar beet, sun flower, vegetables and fodder. The soil and climate conditions favoured the development of orchards. This activity is concentrated especially in Falticeni area. The villages from the mountain area are specialised in animal breeding, mainly milking cows and sheep. 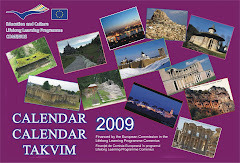 The Suceava county is a very important Romanian tourism destination. Beside the beautiful mountain landscapes, the tourism potential is enriched by the density and the value of the architectural and religious monuments, the natural reservations and ethnographic areas, some of them being unique in the world. 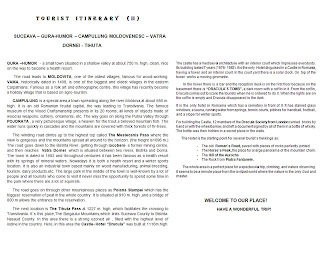 We must highlight Voronet, Sucevita, Vatra Moldovitei, Putna, Dragomirna monasteries, Rachitisu Mare, Lucina, Ponoarele flora reservations, Valea Putnei Forest, Slatioara Century Forest, Frumoasa Natural Pastures, and so on. Here, the first three Capital Cities Moldavia functioned: Baia, Siret, Suceava. 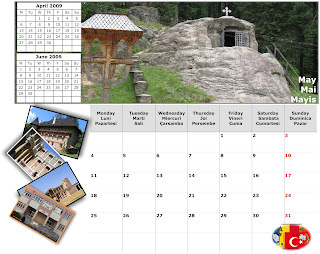 One can find Scheia and Suceava fortresses, a wide chain of monasteries and necropolis such as: Putna, Voronet, Moldovita, Sucevita, Humor, Dragomirna. One can find also popular art centres, hosting invaluable assets of national and world patrimony, comparable with those from the Italian Renaissance. Here are living together in full harmony, the Romanian population (majority) with another nationalities as: Ukrainians, Germans, Polish, Russians, Old Believers, Jewish, and another nationalities, gathering 3,4%. The educational network counts 1,000 units for primary, gymnasium, and high-school education. 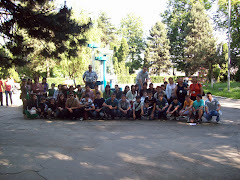 In Suceava town there is a University, made of 4 faculties and one college. The educational assets count 2400 classrooms, 1897 specialised classrooms, 427 labs, 359 workshops, and 162 gyms. In the health care sector Suceava County has broad range units, that can provide the appropriate medical assistance. There are 9 hospitals containing 4267 beds, 120 village surgeries, 60 medical consulting rooms, 62 dental surgeries, 18 dental labs, 94 pharmacies and 9 pharmacy storage.. The Suceava County brings its own contribution to the Romanian art and culture. We have here a rich cultural life, sustained by 10 Culture Houses, 597 libraries, 22 museums and an art school. There are located more than 585.047 archaeological, ethnographical, art and natural science exhibits out of which 100.000 are of international value. Sunday - go to church and then in new construction Iulius Mall. Here in Iulius Mall walk, listen to music and have fun. 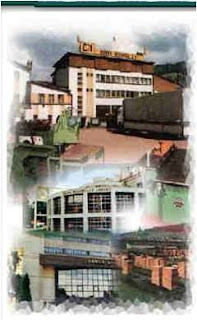 In this peerless corner of our land, where at every step you find the testimonial about what our ancestry have done , there are uncountble historical and cultural reasons wich have determinated that begining with the school year 1974/1975 to take entity the Technic Collage of the Food Industry. At 01.09.1975 it was given for use the new building from Dimitrie Cantemir street n.5, where it works heretofore.At that time the school was composed of the primary building, thermal point, a hostel and a canteen. 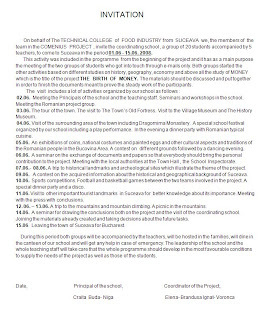 In the period between1974-1991, it was the only school from the east of our contry wich could prepare people on the field of the food industry for the counties like Suceava, Botosani, Iasi,Neamt, Bacau,Mures,Bistrita and Maramures. Begining with the scool year 1981/1982 the schol propagated another side elevation:agrarian industrial field, with daily and night school,now specialization in the framework of the Art and Trade School,having practise conditions in the framework of the Empericism Agrarian Station of Suceava. Adjustemented with flexibility at the tendency of the market work places,on the distance covered in the framework of our school has started to exist other specializations too, like:tourism technician,mecathronist technician,automatization technician and household agroturistic worker. The dynamic of the contemporary society imposes a permanence orientation of the school to prepare the students in those domains, wich can allow them afther that a very good integration a big social mobility. At present, over 1606 students are comprised in about 53 classrooms, are attentively adviced didactically corpse with vocation and a phew headmasters whom quality of managers are unquestionable. That`s us. We are expecting you to start our way together. 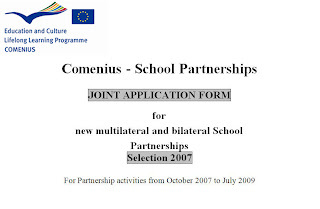 This activity was included in the programme from the beginning of the Project and it has as a main purpose the meeting of the two groups of students who got into touch through e-mails only. Both groups started the other activities based on different studies on history,geography,economy and above all the study of MONEY which is the title of the Project THE BIRTH OF MONEY. The materials were discussed and put together during the first trip(1st visit was from Turkey to Romanıa last year.. The Project materials will be finished and exchanged in this period. 12.05.2009-Seminars and workshops in the school.A special school festival organized by our school ,called welcoming party.In the evening a dinner party with Turkısh cuisine. 13.05.2009-A trip to important tourist landmarks in Manisa and İzmir.Visit to Manisa Museum and meeting with the authorities. 14.05.2009-Visit of the surrounding area of the town including Sardis-where Money was born,Bozdağ Ski Center,Gölcük Lake and a picnic in Kurşunlu Thermal Resort. 16.-17.05.2009A trip to historical landmarks and archeological sites such as Ephesus, The House Of Virgin Mary,The Temple Of Artemis,Çeşme-Alaçatı Surf Center etc. 18.05.2009-An exhibition of coins,national costumes and other cultural aspects and traditions of the Turkish people in Salihli region. 21.05.2009-Meeting with the press with conclusions. A contest on the acquired information about the history and geographical background of Salihli-Manisa area. Dancing party and sports activities. During this period both groups will be accompanied by the teachers,will be hosted in the families,will dine in the canteen of our school and will get any help in case of emergency. The leadership of the school and the whole teaching staff will take care that the whole programme should develop in the most favourable conditions to supply the need of the project as well as those of the students. • Coordonate: 43 37' 07'' si 48 15' 06'' latitudine nordicã; 20 15' 44'' si 29 41' 24'' longitudine esticã. o Muntii: Carpatii românesti: Carpatii Orientali (între granita de nord si Valea Prahovei), cu altitudine maximã în Muntii Rodnei - Vîrful Pietrosu 2.303 m; Carpatii Meridionali (între Valea Prahovei si culoarele Timis - Cerna - Bistra - Strei), cu o latitudine maximã în Muntii Fãgãras - Vîrful Moldoveanu 2.543 m; Carpatii Occidentali (între Valea Dunãrii, la sud si Valea Somesului, la nord), cu altitudine maximã în Muntii Apuseni - Vîrful Curcubãta Mare 1.849 m.
o Dealurile si podisurile: În interiorul arcului carpatic, Podisul Transilvaniei (400 - 700m alt.). În nord-vest, Podisul Somesan. În est, Podisul Moldovei iar în sud-vest, Podisul Dobrogei. 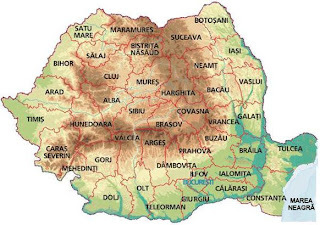 o Cîmpiile: Cea mai importantã, Cîmpia Dunãrii de Jos (Cîmpia Românã), principala zonã agricolã a tãrii. 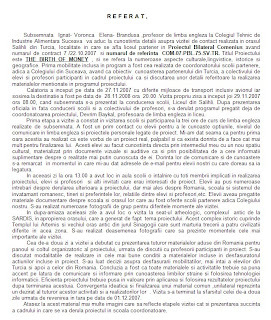 o Delta Dunãrii: Situatã în nordul Podisului Dobrogei, cea mai tînãrã unitate de relief din România. Suprafata pe teritoriul românesc este de 4.340 kmp., din care 78% este submersã. Cuprinde cele trei brate de vãrsare ale Dunãrii: Chilia, Sulina, Sf. Gheorghe.
'' The Birth Of Money Magazine "
Ce parere aveti despre acest proiect ?